International Journal of Research in Health Sciences,2015,3,1,38-41. 1Postgraduate trainee 2Assistant Professor 3,4Senior Registrar 5Professor, Department of General Surgery, RIMS, Imphal, Manipur, INDIA. Although rare, the presence of ectopic thyroid in submandibular region should be considered in the differential diagnosis of submandibular swelling. Defects in the embryological development, implantation of thyroid fragments and abnormal migration of the thyroid gland usually results in this ectopic presentation. The ectopic thyroid is predisposed to a spectrum of inflammatory and neoplastic changes similar to that of a normal thyroid. Diagnosis is confirmed by fine needle aspiration cytology and malignancy is excluded by histopathological examination. Surgical treatment depends on the presence of a normal functioning thyroid. 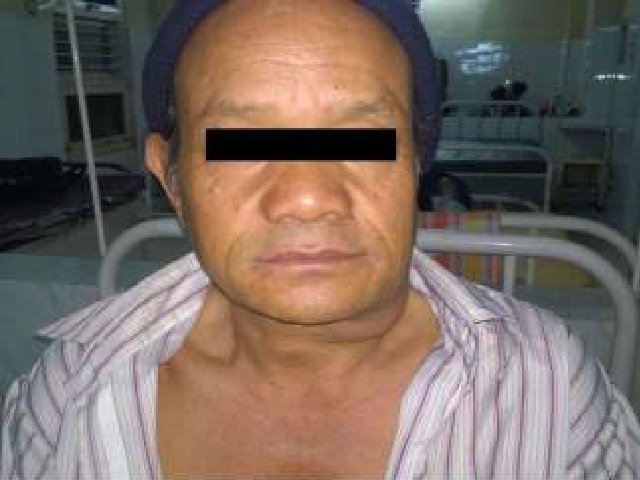 A rare case of ectopic thyroid with colloid goitre in the left submandibular region is reported.